Tax laws regarding IRAs can be complicated. 1. 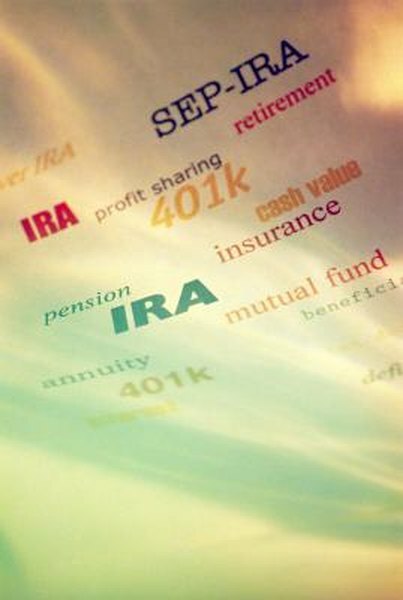 Do I Need a 1099-R Form When I Withdraw My IRA? 2. What to Do When a 1099 Is Sent to the IRS for a IRA Rollover? Individual retirement account distributions are reported to both the Internal Revenue Service and the account owner via IRS Form 1099-R. The purpose of the form is to record the transaction and ensure that the appropriate tax, if any, is paid on the distribution. Form 1099-R has various boxes to indicate the type and amount of any distribution made from the account. The classification of the disbursement can have a significant effect on the taxes owed. With the exception of Roth IRAs, withdrawals from IRAs are taxable. Box 1 of your 1099-R will show the total amount of your distribution, and the taxable amount will normally be listed in box 2. If that amount is not determined by the issuer of the 1099-R, you'll be responsible for computing it on your own. IRA distributions are taxed at normal federal income tax rates, so you'll pay the same rate as you do on the rest of your income. Large IRA distributions can therefore bump you up into a higher tax bracket, just as if you received a bonus payment from work. Most states tax personal income. Any IRA distribution that is taxable at the federal level is also taxable at the state level, where applicable. While states are not typically sent their own copies of a 1099-R, they base your taxes on the income amounts you report to the federal government. Since your IRA distribution is included in your adjusted gross income, it will ultimately end up being taxed as ordinary income by your state of residence. As of 2013, the states without a personal income tax were Alaska, New Hampshire, Washington, Florida, Nevada, Texas, Tennessee, Wyoming and South Dakota. Early distributions, or those taken out of an IRA before age 59 1/2, have an additional tax of 10 percent applied by the IRS. If there is no allowable exception to your early withdrawal, your 1099-R will indicate that with a code of "1" in box 7. If your distribution was due to death, disability, certain educational or medical expenses, or other IRS-approved exceptions, your withdrawal will be coded with a "2" in box 7, indicating that the 10 percent tax should not be applied. In some cases, a distribution from an IRA can be tax-free, even if reported on a 1099. If you made any after-tax contributions to your IRA, also known as non-deductible contributions, you can withdraw them at any time tax-free, although they will still be recorded on your 1099-R. The same is true for Roth IRA withdrawals. You'll also receive a 1099-R if you rolled over money from one retirement plan to another, even though qualified rollovers are tax-free. In the case of a rollover, you'll have to indicate that the distribution was a rollover when you file your taxes, where you'll list the taxable amount of the distribution as zero. Does 1099-R Mean Reported Earnings? I Closed an IRA Account: When Do I Pay Taxes on That Money?